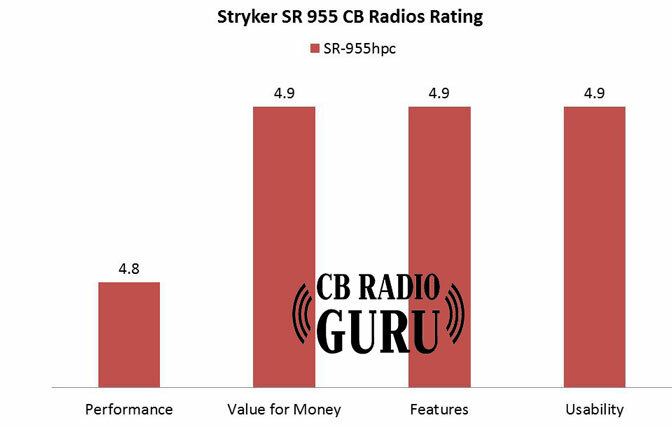 The Stryker SR 955HPC rivals even the best of CB radios for its high level of build quality, features, power output, high level of frequency stability, and single sideband clarity. The radio has also got high-performance stable SSB operation, outstanding AM audio, and PC programming which make the Stryker 955HPC the new industry standard. 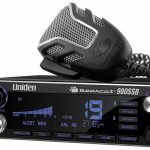 People on the lookout for a modern looking, great performing 10-meter radio with USB/LSB would be the primary target group for SR 955 and the reviews applaud the radio for its great design and amazing controls. 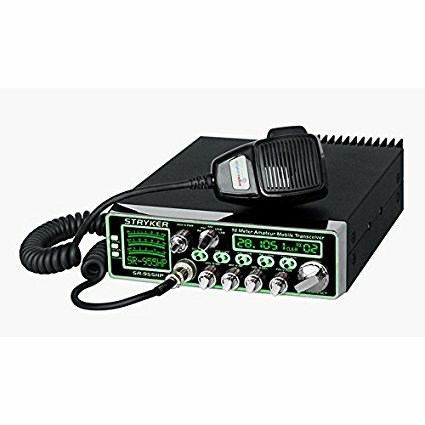 With a staggering list of customizable features, this high power CB radio is a good bargain for serious CB users. Undoubtedly one of the best Single Band radio in the market, we suggest serious CB radio users to have a go at this benchmark product. The Stryker 955 HPC is a powerful 10-meter radio with a slew of functions. The radio boasts outstanding AM audio and stable high-performance SSB operation. The device features an attractive seven color LED backlit faceplate that lets the operator select the best contrast for a day or nighttime operation which means there would be no need to strain your eyes while working your 10-meter unit. You will love using this lightweight CB. The radio only weighs a little over six pounds and is easy to mount just about anywhere This is an excellent unit for SSB or AM. 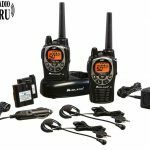 No other radios in this price range are offering SSB and if you are into SSB, you would definitely appreciate this device. Moreover, the stock mic is superb and you will enjoy the clear and crisp sound it offers. 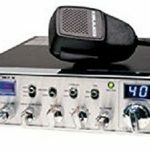 Yes, you don’t have to buy an additional power mic for this CB radio. However, the this CB radio would need some modifications to accommodate CB channels. The software that comes with the device could be operated with ease. It works on windows 7 64 bit and has got nice features like SWR cut off and low and high power safety. You can customize the frequencies assigned to channels in each band along with the roger beeps and radio operating parameters, roger beeps may be programmed and individually assigned to each channel. The radio is almost quiet with the RF gain going all the way up. The large signal meter to the left of the face plate and the back-lighting on the face plate looks amazing, adding flair to the radio. This device rivals all its competitors in terms of single sideband stability and clarity. Until the Stryker 955HP came out, most of the 10-meter radios that performed well on AM were not good at SSB or vice versa. With the entry of 955, users have got a device that excels on AM, FM & SSB. You’ll get loud and clear signal reception. Thanks to the 60+ watts PEP output. The radio controls and features could be easily customized using the navigable function menu available on the Stryker 955. You can even select between 5 different roger beeps and how do you operate it? There is a switch that is located on the front panel. This is a feature that you would find on virtually no other radio direct from the production. Additionally, the Stryker radio comes with a PC programming cable. This simplifies more complex tasks, providing the user freedom to fully configure the high-performance radio. The built-in digital echo and variable talk-back volume control, combined with Roger Beep, mic & RF gain, and advanced noise filters provide unmatched audio performance. 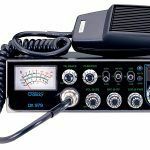 Out of the four key parameters that make up a CB radio, its the interface, features and value for the money that stands out when it comes to Styker 955. 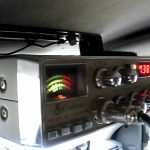 Although it is not a big deal, you’ll have to do some customization for full use of the CB radio. That’s why we give the performance only 4.8 rating. 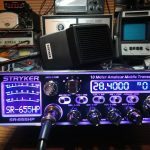 The Stryker SR-955HPC 10-meter radio just keeps getting better. The Stryker radio was introduced in the market in 2012 and is still there in the top charts. The CB radio had set a benchmark that time when the competitors were still trying to catch up. Stryker has continued to refine the design to maximize performance and dependability resulting in a solid performer, giving a stable and crisp response with an amazing user experience. To conclude, If you are on the hunt for a powerful 10-meter radio with excellent SSB facility with no compromise on AM/FM options, your search ends with the Stryker SR 955HP. Does this radio come with the tea audio amplifer in it , I see that Stryker sells it as a replacement , was this something they added in later versions or do all of them have it?